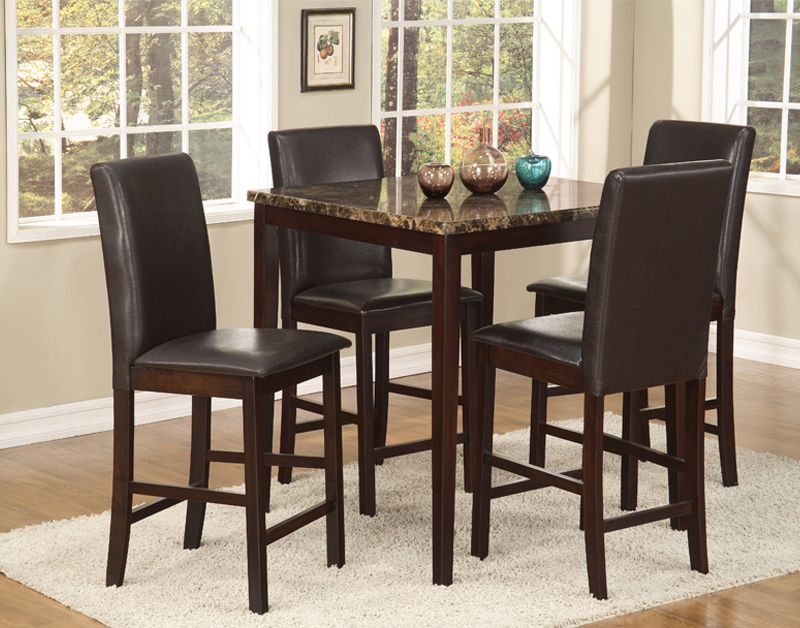 Inlay finish on table top and four pub chairs are everything you need for a contemporary dining area for your home. Inlay marble top table finish. Brown PU leather on chairs.